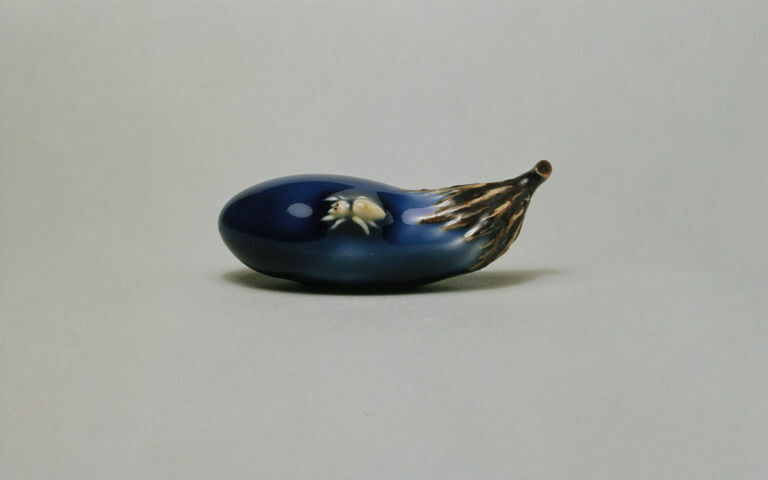 Martha Todd is an artist working with clay and other materials to create objects that reflect her thoughts and findings. Martha finds beauty in obscurities and celebrates the scars and absurdities in life. Since graduating from the Royal College of Art she has been developing her figurative sculpture skills working in a studio making commercial mannequins alongside developing her own practice in the studio. Both activities bounce off each other - the beauty and the beast. Whilst her studio is a place where the uncanny prevails and is made precious using porcelain, lustres and fine materials, at work she continues to produce clinically pristine representations of marketable beauty in unwholesome and toxic materials such as, resin, fibreglass and car body filler. The studio has become a place of cathartic activity, a place where monsters become marvels and there is joy in the unknown. 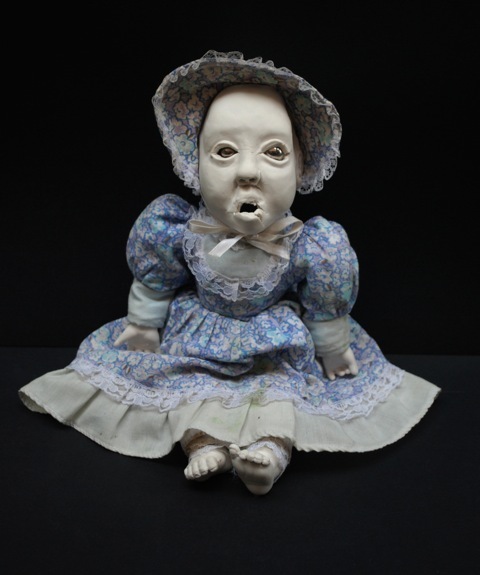 Image: Anne – Porcelain, antique gold lustre eyes, found clothing.